Want to learn how to wear your twins together (or even just one baby), but don't know where to start? 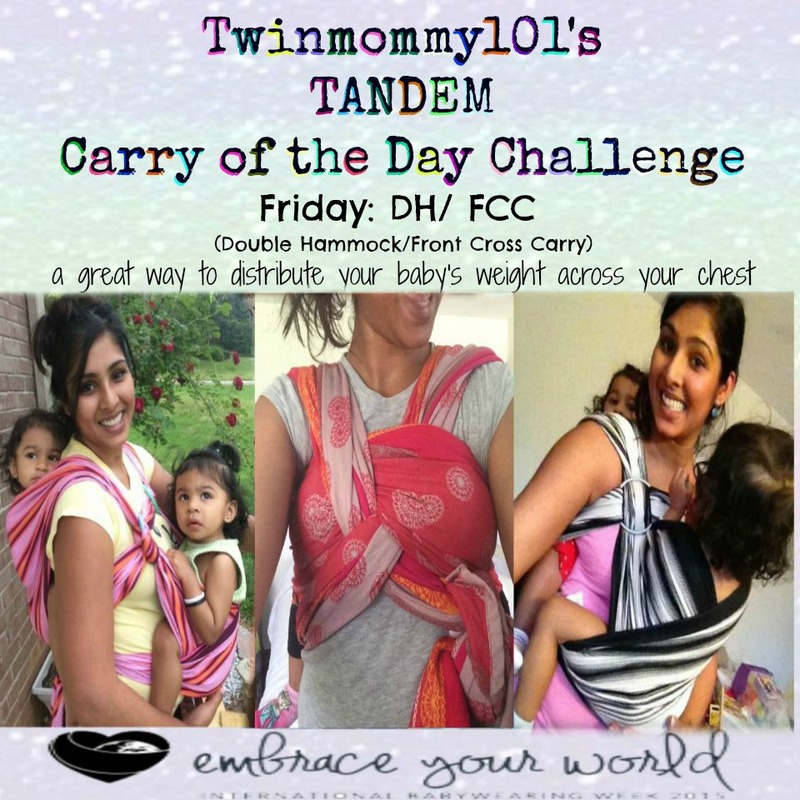 During International Babywearing Week 2015, I hosted my first official "Carry of the Day" Challenge, and made sure to keep it tandem friendly. Here you can find the 6 featured carries and more tips about other options to wrapping. If you have questions please feel free to comment on this page! I'm here to help! And don't forget to share your photos on my FACEBOOK page. Click on the photo below to learn more about each carry!